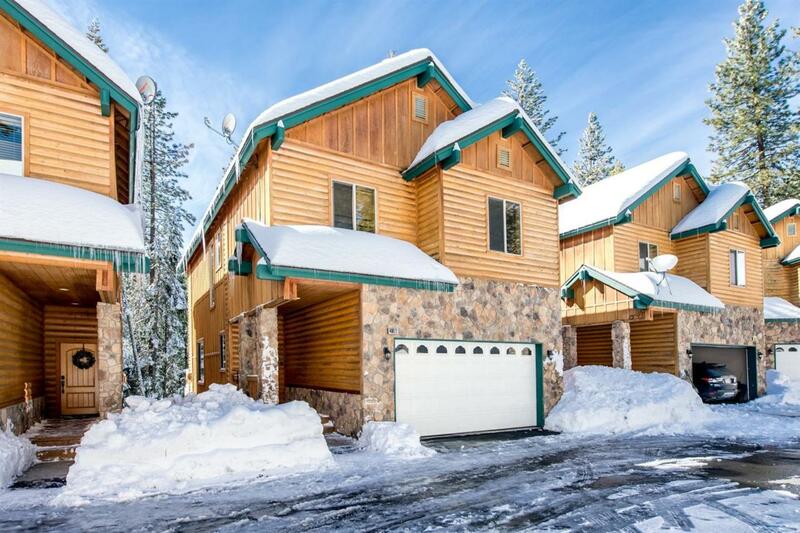 Mountain Log sided Townhome in Shaver Lake with extremely successful rental history! Enjoy your alpine getaway for personal use plus rent for extra income when you can't go to the mountains if you wish. This woodsy townhome sleeps 16, so bring the whole family and their friends too! Main level has cozy living room with gas stone fireplace, open kitchen with pine cabinetry and granite counter tops plus full guest bath. Upstairs enjoy your spacious master suite with wonderful jetted tub, large shower and granite vanity plus 3 additional nice guest bedrooms and full guest bath plus sitting loft. Downstairs there is a large bedroom with two sets of bunk beds perfect for the kids! Also find a large game room with pool table and full bathroom. Step out onto your nice wooden deck and take in the mountain air and sunshine. Lots of windows throughout to view the beautiful forest. Very short drive or walk into Shaver Lake Village, just 5 minutes to the lake and 35 minutes to ski China Peak!